Working alongside CaptainU saves college coaches time and money. 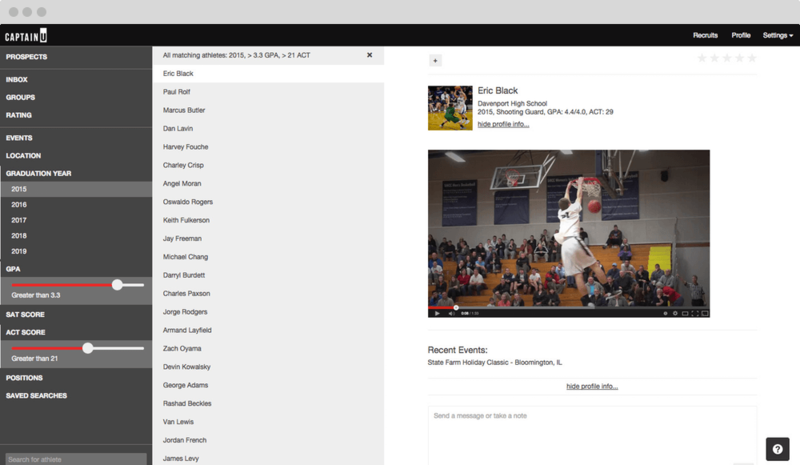 Manage your recruits, find new recruits, prep for events, and build relationships all in one place. Manage your entire recruiting pipeline in one place. Categorize your recruits however you like. CaptainU fits your process. Discover a world of CaptainU athletes who fit your needs. Easily add CaptainU athletes to your database with no data entry. Send stylish bulk emails, individual messages, and texts. 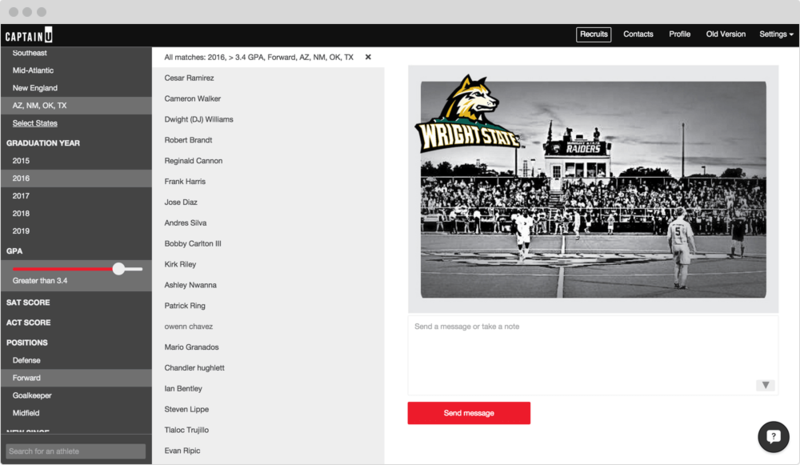 CaptainU automatically files the messages you send and receive with each recruit’s profile. Compliance reporting shouldn’t require any extra work. On CaptainU, compliance reports build themselves. CaptainU analytics give you better insight into how you’re doing with recruiting than anything you’ve seen before. Promote your ID camp to CaptainU athletes and find your next great player. Spend some time with one of our consultants to see how CaptainU College can help your team.